DC Film Society Presents: "And The Winner is...."
Celebrate the Oscars at the Washington, DC Film Society’s 27th annual “And the Winner Is…” Oscar Night party. You’ll get a whole lot more than just viewing the show: The 91st Academy Awards will be presented LIVE ON THE BIG SCREEN, Sunday, February 24, 2019 at the Arlington Cinema ‘N’ Drafthouse located at 2903 Columbia Pike in Arlington, VA. Ticket sales at 6:00 p.m. Doors open and the Red Carpet pre-show at 6:30 p.m. Oscars broadcast at 8:00 p.m. 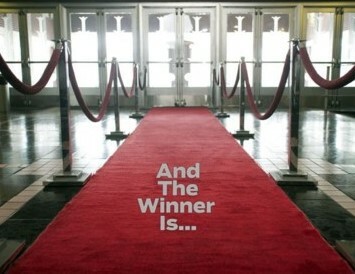 While the Oscars will be hostless this year, our ever-popular DC film critics Tim Gordon and Travis Hopson will be back at the Drafthouse to give you the skinny on who’s up, who’s down, who’s in, and who’s out, as you decide your picks in the “Predict The Winners” contest and place your bids in the Silent Auction (cash/check only). Not to mention the door prizes and promotional goodies from the movie studios! The Oscars will have a wide open Best Picture race this year. Will it be Black Panther, the first nominee in this category for a superhero film? Or Roma, a foreign language film with an unknown (at least to U.S. audiences) Mexican cast, with 10 nominations? The polarizing Green Book? The sardonic, feminist period piece The Favourite? Will Spike Lee win, after he finally nabbed a long overdue Best Director nomination for BlacKkKlansman? Three of the Acting categories have clear front runners: Rami Malek will likely take home Best Actor for Bohemian Rhapsody. Glenn Close will finally win her first Best Actress in her storied career for The Wife. Mahershala Ali will get his second Best Supporting Oscar in three years for Green Book. Best Supporting Actress has no favorite. Emma Stone or Rachel Weisz may win their second Oscar for The Favourite, or they could split the vote. Amy Adams could win for Vice, her sixth nomination, or maybe respected industry veteran Regina King for the underrated If Beale Street Could Talk. DC Film Society members saw 12 of the Award-nominated films first at free screenings held throughout the year. For a list of additional information and updates, check out our website or e-mail. Tickets are only $20. Purchase tickets on-line, or at the door. As always, this 27th annual event will be held in support of Filmfest DC, DC Film Society’s parent organization. Tickets can be ordered using Paypal. See below for Paypal ordering information. Tickets will also be available at the door. NOTE: You do not need a Paypal account for this. You can use a credit card through Paypal. FREE for DC Film Society Gold members.